Students in grade two learn foundational reading, writing, speaking, listening and language skills. Second graders learn world and United States history, geography, economics, and government by studying more about who Americans are and where they came from. They explore their own family’s history and learn about distinctive achievements, customs, events, places, or landmarks from long ago and from around the world. 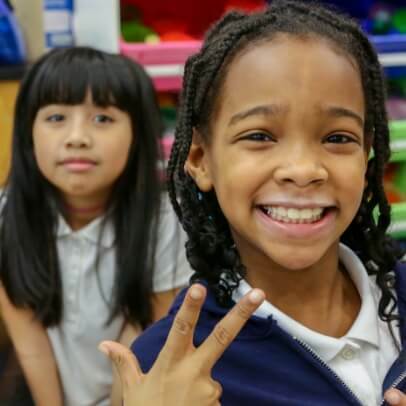 The chief purpose of the grade 2 curriculum is to help students understand that American citizenship embraces all kinds of people, regardless of race, ethnicity, gender, religion, and national origin. American students come from all countries and continents in the world. A history and social science curriculum should help students acquire a common understanding of American history, its political principles, and its system of government in order to prepare them for responsible participation in our schools and civic life. This course is designed to give students the opportunity to learn through a comprehensive sequentially planned Physical Education program in accordance with the Massachusetts Comprehensive Health Education Framework. The emphasis is on how students move with one another in space. Students will learn to work cooperatively with a partner. They will learn to demonstrate the qualities of movement (space, time, force, flow, levels, directions, and pathways) as they perform a variety of fundamental locomotor (running, hopping, skipping, jumping, leading, sliding, galloping) and non locomotor (bending, twisting, turning, rocking, swaying, balancing, stretching, pushing, and pulling) skills. Students will learn to manipulate objects with a partner (throwing, catching, striking, kicking, bouncing, and rolling). Students will learn fitness concepts and participate in a variety of fitness development exercises. Students will learn playground rules related to the use of equipment, safety and games. 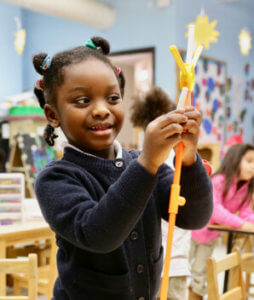 Units of instruction include social skills, fitness, movement education, and manipulative. Areas of study will include introducing the use of a straight edge tool and lines to show motion, weather, mood, repeating shapes to create patterns, organic shapes and differentiating geometric from organic shapes, cutting multiple shapes by stacking paper and cutting simultaneously, diversity through portraiture, landscape drawing, paper as a form of three-dimensional sculpture, secondary colors and creating mood through the use of color, tint and shade to express light and dark colors, use of texture to add details to two-dimensional and three-dimensional work.